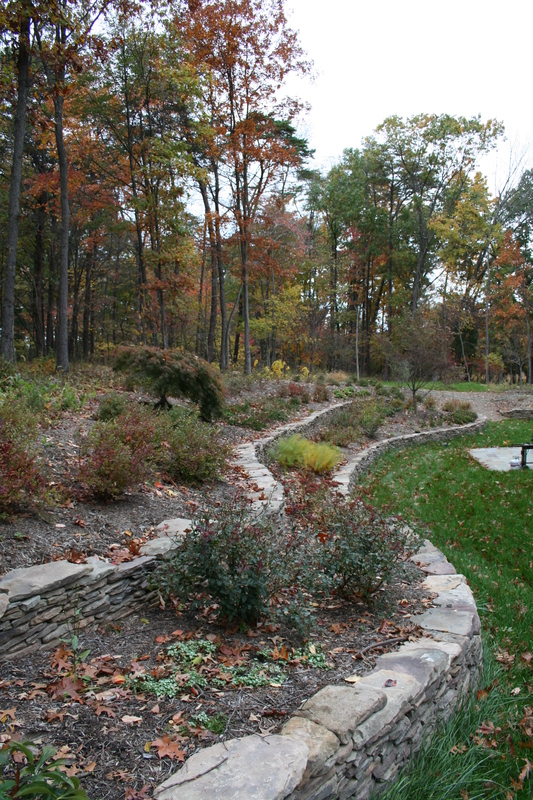 Pennsylvania weather face fieldstone was used to create this serpentine series of dry stack stone retaining walls. The terraces created by these walls have been planted with a mixture of shrubs, perennials and a few small ornamental trees. These plantings combined with the attractive lines created by the walls help visually draw the natural woodland toward the lawn and home in a pleasing manner. Look for another picture of this garden scene taken with some of the plantings in flower!